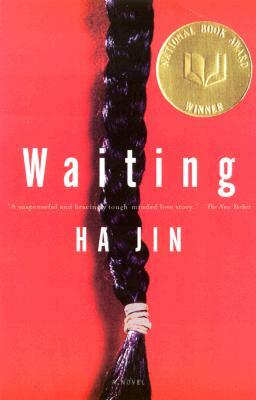 "Compassionate, earthy, robust, and wise, Waiting blends provocative allegory with all-too-human comedy. The result touches and reveals, bringing to life a singular world in its spectacular intricacy." --Gish Jen, author of Who's Irish? Ha Jin left his native China in 1985 to attend Brandeis University. He is the author of the internationally bestselling novel Waiting, which won the PEN/Faulkner Award and the National Book Award, and War Trash, which won the PEN/Faulkner Award for Fiction, and was a Finalist for the Pulitzer Prize and the Kiriyama Pacific Rim Book Prize; the story collections The Bridegroom, which won the Asian American Literary Award, Under the Red Flag, which won the Flannery O’Connor Award for Short Fiction, and Ocean of Words, which won the PEN/Hemingway Award; the novels The Crazed and In the Pond; and three books of poetry. His latest novel, A Free Life is his first novel set in the United States. He lives in the Boston area and is a professor of English at Boston University. War Trash, The Crazed, The Bridegroom, Waiting, In the Pond, and Ocean of Words are available in paperback from Vintage Books.